MODIFIED FROM ISTOCK.COM/THORBJORN66One of the biggest surprises to come from sequencing efforts of the past 15 years is how little of the human genome is translated into proteins. We have about as many protein-coding genes, 20,000, as the roundworm Caenorhabditis elegans. And yet, roughly 80 percent of our genome is transcribed into RNA. Long or short, looping or straight, rigid or not, most of this rabble of transcripts never crosses what was once thought of as molecular biology’s finish line by being translated into proteins. Those RNAs may well harbor some explanations for why we differ from worms, and they often turn up in genome-wide studies as being associated with disease. But most of these so-called noncoding RNAs have no known function. That’s where CRISPR/Cas9 serves an important role. 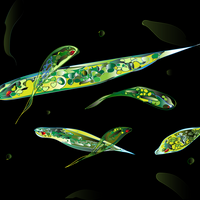 Soon after scientists developed the system as a gene-editing method, they went to work on versions they could use to dial gene expression up or down, not by cutting genes and inserting new genetic material, but by having Cas9 take up residence on predetermined sites on the genome to initiate or stop transcription. These innovations, known as CRISPR activation (CRISPRa) and CRISPR inhibition (CRISPRi), are allowing users to tweak the expression not only of protein-coding genes but also of genes for noncoding RNAs to probe the functions of those transcripts. Although more researchers are beginning to use CRISPRa and CRISPRi, the methods are—like anything CRISPR—still new. “When it comes to these technologies, we are all beta testers,” says Jacob Corn, scientific director of the University of California, Berkeley’s Innovative Genomics Initiative. The Scientist talked to developers and users to bring you this basic primer on employing CRISPRa and CRISPRi to study and tweak the expression of both coding and noncoding regions of the genome. CRISPRi refers to a set of techniques that inhibit transcription of a given target, whether that’s a stretch of DNA that controls the transcription of a protein-coding mRNA or the transcription of a noncoding RNA gene. The conventional Cas9 nuclease is a large protein that complexes with a guide RNA strand that directs Cas9 to a chosen spot on the genome, where the enzyme cleaves the DNA. CRISPRi uses a catalytically inactive or “dead” version of Cas9 (dCas9), which still arrives at its programmed destination but is unable to cut it (Cell, 152:1173-83, 2013). While the dCas9 is latched onto the genome, it prevents transcription by physically blocking binding of the necessary machinery. An improved version of CRISPRi attaches a domain from a transcription silencer called the Krüppel-associated box (KRAB) to dCas9. This add-on of about 50 amino acids prevents DNA from uncoiling for transcription. “Right now, using the KRAB domain seems to be working really well,” Corn says. Andrew Bassett of the University of Oxford agrees, noting that if you’re just starting to use CRISPRi you should use KRAB. Although it may act over a larger site than the dCas9 alone, it is more likely to give you an observable effect, he adds. The reversibility of CRISPRi is either a feature or a bug, depending on your goals. 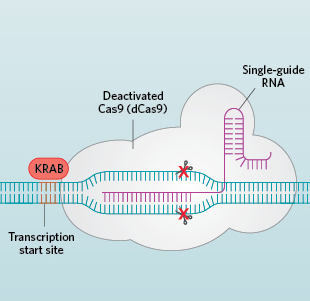 Using the KRAB domain attachment, some researchers are working to make dCas9’s binding more stable, opening the possibility of permanently inhibiting transcription at specific places on the genome to study if and how man-made epigenetic marks are passed along to future generations, Corn says. Whereas RNA interference (RNAi) targets mature RNA, CRISPRi prevents transcription from occurring in the first place. That has advantages in situations where the act of transcription, rather than a specific RNA product, might be at the heart of the function you’re studying. Another plus of CRISPRi is that it can be used to target transcripts within the nucleus, which has been difficult to target with RNAi reagents. Off-target effects have long been a concern with RNAi. And although CRISPR machinery has its own off-target effects, they are far fewer, and for them to make a difference in CRISPRi, they would have to act near transcription start sites. Researchers are more knowledgeable now about RNAi problems, Corn says. For that reason, his team still uses it, though he can imagine it playing a smaller role in the future. See full infographic: WEB | PDFResearchers have also attached transcriptional activators—various proteins that work in concert to boost the reading of DNA—to the dead Cas9, creating CRISPRa tools. In contrast to cDNA overexpression, which is commonly used to dial up expression of individual genes, CRISPRa more easily and inexpensively activates single genes as well as multiple genes at the same time. This fact could lead to CRISPRa’s becoming a gold standard in the study of RNA, says Mitchell O’Connell, a postdoctoral researcher in the lab of CRISPR pioneer Jennifer Doudna at the University of California, Berkeley. Several next-generation CRISPRa systems are already available. One of them, designed by CRISPR developer Feng Zhang of MIT, optimizes the recruitment of the activation machinery by modifying both dCas9 (by attaching a VP64 domain, a transcription activator derived from a herpes simplex virus protein) and the single-guide RNA (by incorporating two looping stretches of RNA that in turn recruit several transcriptional activators). Those tweaks have allowed the scientists to boost RNA expression by more than an order of magnitude (Nature, 517:583-88, 2015). Zhang’s lab has also figured out a way to control a gene’s level of transcription. By positioning the system closer to the transcription start site you get stronger activation. 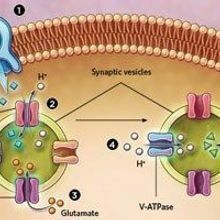 However, if you target upstream of the site, just outside a 200-base-pair window, you can trigger more-modest—and perhaps, depending on the gene, more physiologically relevant—activation, says Silvana Konermann, a postdoctoral researcher in Zhang’s lab who developed the system. In unpublished work, she has used this trick to see a linear correlation between the amount of gene expression and the strength of her phenotype. Yet another improved CRISPRa, reported by CRISPR pioneer George Church of Harvard University, includes three activation domains (VP64, p65, Rta) in tandem that are fused to the tail end of dCas9 (Nature Methods, 12:326-28, 2015). Of the newer transcription activation systems, Bassett says he has had the most success with this one (though, unlike Weissman’s and Zhang’s, it has not yet been used for large-scale gain-of-function screens). But experts caution that it’s too soon to tell which of these activation techniques will come out ahead, so the advice is to just give one or more of them a try. Besides, something newer and better is probably in the pipeline. “The onus is on users of the technology to find out if it works in their particular system for their particular question,” Corn says. “There are no guarantees.” One of those users, Uttiya Basu of Columbia University, agrees. He plans to use CRISPRi and CRISPRa in mixed populations of primary immune cells, which vary in their ability to take up the machinery. In contrast, most work to date has employed CRISPR in established cell lines. “Different cells have different abilities to take up things,” Basu says. 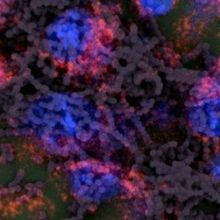 “Primary cells die after a period,” which gives you a limited time frame in which introduce CRISPR systems. It’s still a challenge to deliver any Cas9 protein into cells, especially those modified for CRISPRi and CRISPRa. One way to get around that, at least for CRISPRa, is to use CRISPR-Cas9 mutant mice that express Cas9 all the time or after being induced. Konermann found that she can deliver a shortened guide RNA into the mouse: 14 or 15 base pairs instead of 20, packaged in a virus (preferably adeno-associated virus, AAV) and delivered via injection. This pared-down guide no longer allows Cas9 to cleave DNA, but, in the case of Zhang’s system, it includes the loops that recruit transcriptional activators. There is also a smaller version of Cas9, from Staphylococcus aureus rather than Streptococcus pyogenes, that can be packaged into AAV for delivery into cells. Because of some design differences, the S. aureus Cas9 targets fewer sites. But, for an activator, that’s not a major issue, Konermann says. How many guides should you test? If you are studying noncoding RNAs, expect to make more single guide RNAs (sgRNAs)—each about 20 nucleotides long—than the number you would make to edit a protein-coding gene. Bassett suggests anywhere from 5 to 10 for CRISPRi. (For gene editing he normally makes three guides.) 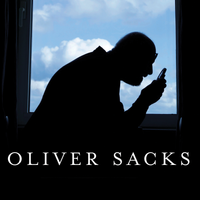 “I would go for almost as many as you can in the appropriate window, which is usually around 100–200 bases before the transcription start site,” he says. Using computational tools to predict off-target effects can help you narrow down guide selection. For CRISPRa, Konermann had to make more sgRNAs to suss out ones that would activate the transcription of genes for noncoding RNAs compared with coding RNAs. “It might just be that our annotation of the transcription start sites are not as good for noncoding RNAs,” she says. “Or it could be that they’re somehow still more difficult to activate.” But the technique works, and it’s something the group is actively pursuing, she adds. CRISPRa and CRISPRi are a boon to the study of noncoding RNAs. 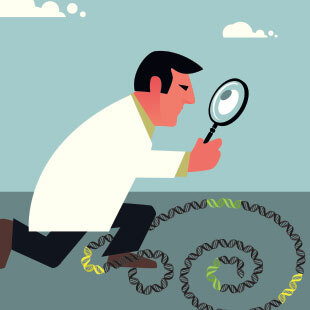 One challenge of using these technologies to study noncoding RNAs, especially the lengthy ones, is that the noncoding RNAs often share a regulatory region with protein-coding genes. It’s hard to get around this problem. But you can at least account for it: check what genes are nearby and do a round of polymerase chain reaction (PCR) or a Western blot to see whether the expression of those genes has also changed along with your intended target. If the inhibition or activation of an RNA does affect a neighboring gene, it may be unclear what it is about your setup that is causing the change. “The good news is that by using all those tools together in a smart way it starts to become possible to sort out these questions,” Konermann says. And, although they are powerful, CRISPRa and CRISPRi should be part of a much larger set of experiments for deciphering the functions of a given noncoding RNA. Disabling the transcript using CRISPR-based gene editing is another important strategy to help validate your results, for example. “If you really think there is a function for a long noncoding RNA, you have to prove it with multiple assays and, ideally, coming from different directions,” says Jens Durruthy-Durruthy, a postdoctoral researcher in the Stanford University laboratory of Vittorio Sebastiano who employs Zhang’s CRISPRa method with traditional CRISPR editing to study the role of long noncoding RNAs in human development and cancer. Weissman’s group is working on another round of guide RNA library designs that will allow researchers to more efficiently target transcription start sites on the genome. O’Connell is repurposing a version of the Cas9 protein, called RCas9, that recognizes and cleaves RNA rather than DNA. Although in theory it shows promise for functional studies of noncoding RNAs, the main challenge is to get it working efficiently in cells (as opposed to cell lysates). Meanwhile, the search is on for naturally occurring CRISPR systems that edit RNA directly, a simpler version that will be easier to introduce into cells. “I’m sure it exists,” Bassett says.